While purchasing hotel kitchen equipment in Kolkata can be an option, you can have an idea of how many and what types kitchen apparatuses are needed for the perfect preparation of food. For doing the job successfully, make it affordable, and to maximize the space, you need to choose the correct supplier. There are certain things to consider when you plan to purchase the commercial equipment. The first question that will come to your mind is that whether the kitchen equipment in Kolkata will able to meet your production and demand for food? You also need to consider the power capacities of the equipment, before choosing the type of apparatus for the commercial kitchen. While you may shell out more maintenance cost for the commercial apparatus, less powerful commercial apparatuses is unlikely to keep up. You need to focus on the lifetime cost of the equipment rather than the upfront expense when it comes to buying the commercial kitchen apparatuses. By using the energy efficient costs, significant savings can be accomplished. By delivering the saving that drives straight to your bottom line, the energy efficient kitchen appliances could result in a 20% reduction on your utility bills. Unlike any other commercial space, commercial kitchens consume approximately 2.5 times more energy. You need to decide that whether you need to expand your business or will hold back? You need to check whether any new model is coming out anytime from the supplier, ones you have selected the kitchen apparatus for the commercial purpose. You need to check if the current equipment or parts can be replaced if the equipment is not up to the mark. You need to consider the current layout and then take into considerations what type of kitchen apparatuses will fit the space. Modular kitchen apparatuses can be a practical solution when space is a premium. As a superb space saving solution, multi-functional items can be a good choice. Since the foods habits in India is changing very fast, hence you need to get the perfect commercial kitchen apparatus to suit the needs. To cater for broader customer tastes, and to provide the needs of the customers, the new kitchen apparatuses are needed. 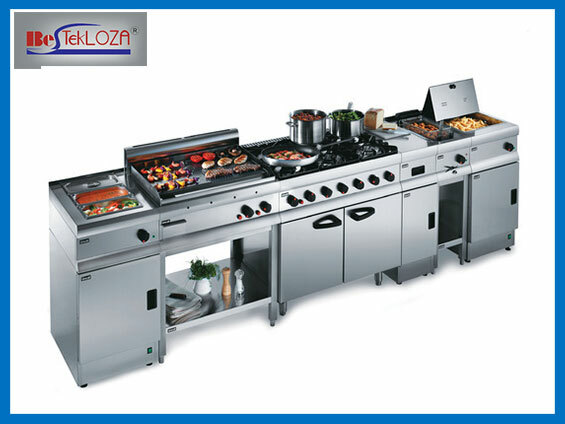 With so many points to remember, you can easily contact one of the suppliers, who will provide you with commercial kitchen equipment. If you select “Beskteloza”, you will need to look no further.